Very often, the success of start-ups is measured if they have received funding instead of looking at their revenue or profitability. When you are part of the start-up scene, the question “Do you have an investor?” is omnipresent. While I do understand that outside recognition in the form of capital means something, I never thought that having an investor automatically equalled success. It really depends on the circumstances of your business. 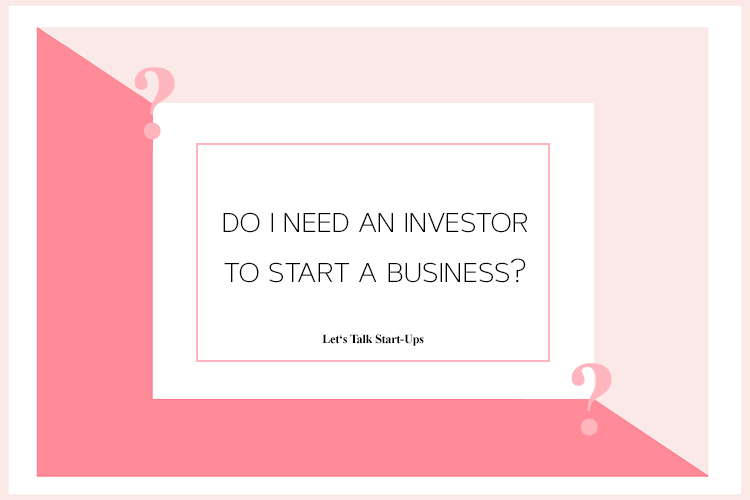 Throughout the time when I was thinking about raising money for my start-up, I made a list of questions to assess our specific circumstances. It is very easy to be lured into the game of pitching and forgetting about the most important thing: your product and customers. It actually happened to myself; I invested so much time in networking and polishing up our pitch deck. While it was a good learning exercise, I got sidetracked for some time. To prevent you from making a similar mistake, I am sharing my checklist below. Well, duh. Very basic. But believe it or not, I have met so many people who just say, I need XYZ, without ever making a proper calculation. Similar to what I said in my From Product Idea to Starting Your Business, you do not need the most sophisticated business plan, but you need to get your numbers right. And for all those of you who hate number crunching: you cannot run a business without knowing your numbers. I have the most important ones in my head – users, sales, cost, etc. Make sure you either know them by heart or have a fact sheet with you all the time in case you meet someone who could help. If you have calculated your capital needs, assess if you have money yourself to cover the cost. I made the decision to bootstrap as long as I can as it allows me more freedom. The myth of showing up at investor meetings with a one-page concept and receiving USD 500,000 or more has long been over. If you do not have the capital to prove your business case yourself, it will be very hard to get investors on board. Why would they invest their money if you did not invest your own? How Many Shares Are You Willing to Give Away? If you have already invested some money but you do not have enough to cover your needs, think about how many shares in your company you are willing to give away. It is very similar to what I discussed in the article about Co-Founders. For example, if you plan to raise USD 100,000 in exchange for 10% of the company, you value your company at USD 1 million. Is this number realistic? Have you backed it up? How Much External Influence are You Willing to Accept? A lot of new founders think that once they have raised capital, their problems will magically disappear. While I wish that was true, I have to disappoint you here. Money does solve certain problems, but there will be new challenges for you as a founder. Bringing an investor in not only means influence regarding the number of shares; there will be other forms as well: The investor may ask for seats on the board or directors. And most importantly, your day-to-day business will be closely watched. Do you deliver, do you meet the targets? Most of the time, an investor will not invest in your company out of goodwill only. Their target is to make a return on their investment. And, naturally, they will push you to meet those targets. Are You Aiming for an Exit? Meeting your investors’ targets, is closely linked to an exit strategy. As a founder, you may not think about selling your business right when you start it. I started out because I wanted to see my “baby” develop. Exit was something I actually did not want to think about. But bringing investors in will force you to think about the question. As mentioned above, their main target is to make a return – usually with an exit. Targets set to achieve a good exit may be very different from what you as a founder would do to grow your business organically. Can you live with that? Very often, the reason for raising capital is to take your business to the next level – expanding into new areas or regions, diversification etc. Are you at this stage right now? What Does the Investor Bring to the Table? Apart from the capital, what is the added value of the potential investor? Do they have special industry knowledge? A big network? A complementary product line? I learned that for me, the ideal investors not only bring capital but further skills, networks and knowledge to the table. As I mentioned in the introduction, every investment needs to be looked at on a case-by-case basis. However, I found those general questions very useful. Do you have anything to add? Are there further questions you have asked yourself? Let me know! Is Starting a Business Really Easier and Cheaper than Ever Before?